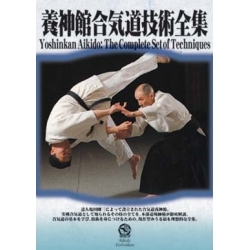 High grade seminer of Yoshinkan to learn the central gravity of the body, the breathing force. The second volume of the series "The seminars Yoshinkai". High grade seminer of Yoshinkan to learn the central corp, the breathing force. Gozo SHIODA: He was born in 1915 in Tokyo; He practiced judo and Kendo during his childhood. In 1932, he became a dicipline of Morihei UESHIBA. after having obtained his bachelor degree at takushoku University, he was sent to China, Taiwan and Borneo as a instructor of aikido. In 1946, he returned to Japan and restarted his training with his master Morihei UESHIBA. In 1955, he was awarded the Grand Prize in the tournament of Ancien art matials of Japan. 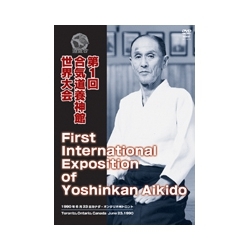 In 1956, he established Yoshinkan Dojo. In 1961, he received the 9th Dan from his master. Since 1957 he taugt his techniques in the police department.